Twenty eight hours of pure bliss! Is time at a premium but you are in need of a quick reviver to get body and soul back on an even keel? Then we have the perfect break for you. This break entails only one night away but gives you twenty eight hours of quality time! Arrive at 2.00 pm on day one and leave us at 6.00pm on day two (you will need to check out of your room at 11.00 am but will be offered a locker and shower facilities for the rest of the day). A 50-minute Blissful Face & Back Therapy ?This treatment commences with a Swedish-style massage using medium pressure to the back, neck and shoulders, melting away any stresses or muscle tension. To complete this treatment a cleanse and tone to the face, neck and décolleté is followed by a short but relaxing facial massage and moisturise. £15 per person supplement on Friday and Saturday nights. 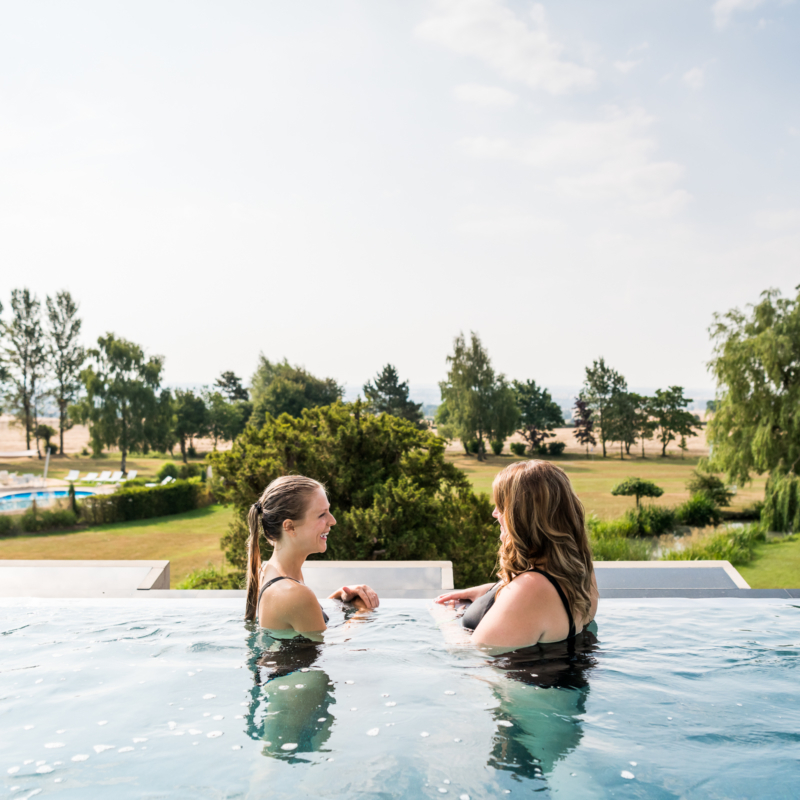 NB: This special offer is the only option for booking a one night spa break at Ragdale Hall. Further dates will be added weekly. For advanced bookings please see our two night spa breaks or spa days. All prices are per person unless otherwise stated. Prices are inclusive of VAT. 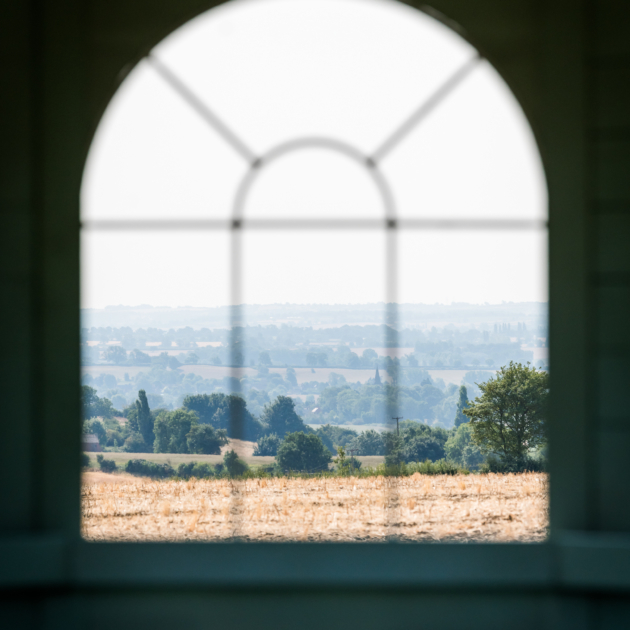 The Overnight Reviver Break is a special offer available on selected nights only, on a first come, first served basis, therefore we cannot guarantee there will be availability for all room types on the dates listed above at the time you contact us to book. A warm welcome from our Guest Liaison Team who will ensure your visit gets off to a great start (optional tours available). A daily programme of over 18 exercise classes and group activities in our two air-conditioned studios, suiting all fitness levels. Use of our air-conditioned gymnasium with cardiovascular, free weights and functional sections. Use of the Thermal Spa including Candle Pool, Waterfall Pool and series of heat and water experiences. 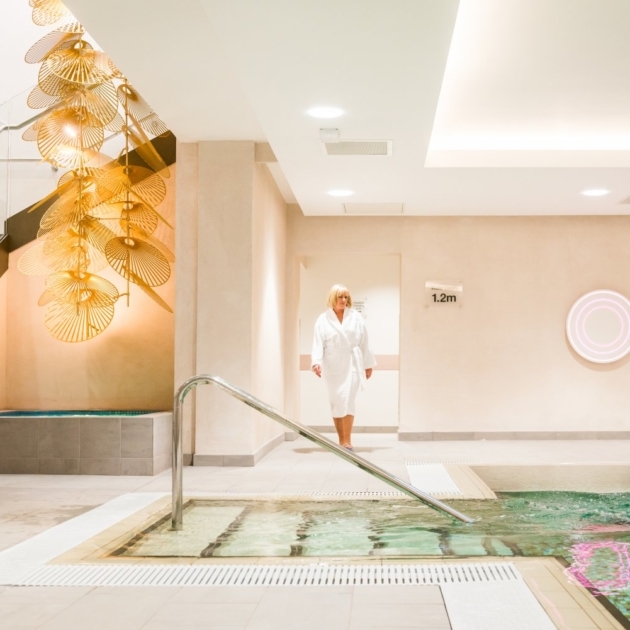 Use of the 25-metre indoor Swimming Pool with whirlpool, massage jets and cascade. 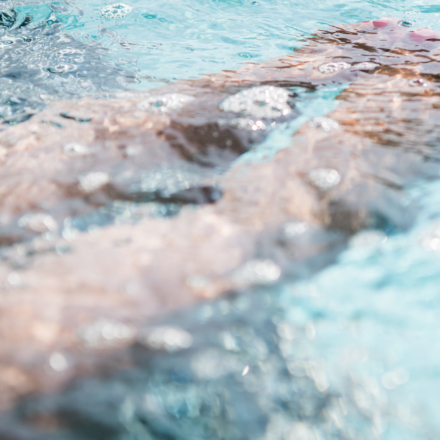 Use of the indoor Exercise Pool with Aqua Gym equipment and a daily programme of water classes. Use of the NEW Rooftop Infinity Pool with underwater massage jet recliners and wonderful views. Outdoor heated pool (summer months only). Unlimited use of mountain bikes, tennis courts, pitch and putt, croquet and outdoor games. Daytime and evening talks and workshops on a wide range of interesting subjects. Opportunity to visit our three lovely shops. Sumptuous lounges, quiet areas and gardens in which to relax. Complimentary robe for use during your visit. Enjoy comfortable accommodation in a room with en suite bath, shower and WC (Single Economy rooms have shower and WC only). All rooms have free Wi-Fi*, digital TV and radio, telephone, hairdryer, mini safe and tea and coffee making facilities. Suites also have a mini bar and coffee maker. Lodge rooms are situated two minutes walk from the Main Hall Lodge rooms also include mini bars and DVD players. Your room is serviced on a daily basis. *Please note it is unlikely our WiFi capacity will support streaming and downloading of large files. Visiting Ragdale Hall for the first time? Then there are a few things you may find useful to know. Ragdale Hall is an award winning health spa with an enviable reputation built over 45 years for excellent facilities and caring and friendly customer service. Ragdale Hall is not a hotel and although we provide many services of a top class hotel, we do many things differently. Our style of service has evolved in response to our guest’s feedback over the years and makes Ragdale Hall unique in its laid back style. You will find there is always a member of staff ready to help with any queries either before you arrive or whilst at the Hall, so please ask if anything is bothering you or if you have any questions. Check in and check out times have to be allocated due to the number of guests who want to come to the Hall. By adhering to them, all guests can enjoy the same relaxing and beneficial experience. Ragdale Hall is not a medical centre, our staff are not trained medical practitioners. If you have had, or are suffering from, ill health, severe allergies or a particular medical condition, we strongly advise you to speak with your doctor prior to arrival to satisfy yourself that you can make full use of all our services and facilities. In some instances we may require written confirmation from your doctor. Should you have reduced mobility, a disability or require convalescence we require you to contact us to discuss your needs prior to making a reservation. In doing so we will be better placed to ensure any specific needs you have, or assistance you may need, can be catered for. Additional information for disabled guests and those with reduced mobility is available by clicking on the link below or by calling our Reservations Team on 01664 433000. We regret we cannot provide nursing care or lift guests, nor are we able to offer full-time individual attention. View full information for mobility restricted and disabled guests here. If you are staying overnight, packages include all meals. Whilst lettuce leaves, carrot juice and calorie counting are long gone, our food remains healthy and nutritious using the highest quality ingredients. There is an abundance of choice but if you are unable to find something you like, our chefs are willing to discuss alternatives to suit your individual preferences and dietary requirements. Breakfast is served in your room by cheery maids who have prepared your meal from the choices you have made the previous day. There is an option for an early breakfast in your room (or a later one served in the Verandah Bar) but the majority of guests choose to have a leisurely breakfast whilst planning the day ahead, in the luxury of their bedroom between 8.00 and 8.30am. We do not have a dress code but most guests spend much of the day in their robes. They find it is the most relaxing way to go from treatments to the Spa and to relax in. Many guests wish to ‘dress’ for dinner but just as many choose to dine in their robes, especially if they have just come from a treatment. Spa Break and Ultimate Day guests will receive a complimentary pair of Ragdale Hall flip flops. Spa day guests can choose to bring their own suitable footwear to wear around the Hall, or purchase mules/flipflops from our Boutique. Whilst you may enjoy a glass of wine or champagne, a Gin cocktail, a glass of Pimms or even a bottled beer, as a health spa, Ragdale Hall does not have a full bar offering. Most guests come to the Hall to relax and we try to maintain a calm, chilled out ambiance hence ‘no kids allowed’ (we welcome over 16s only). It is difficult in this day and age to get away from mobiles and other electronic devices, but we try to create an atmosphere where their use is discreet (preferably in your own room where free of charge WIFI is provided) and talking on a mobile is not allowed in public areas. Please note there are designated areas in the Thermal Spa and The Retreat where we request total silence to enable peaceful relaxation. On arrival you will be given a schedule which details the times of your treatments, meals and any classes you have shown an interest in. As we have so many guests, it helps us enormously if you stick to these times, but if for some reason, there is a timing that doesn’t suit you, we will do our best to change it. Whilst we do have a few male therapists amongst our many, you will not be scheduled to have a treatment with one of them without you giving your ok or requesting one. Ragdale Hall operates at high occupancy levels and whilst we always endeavour to accommodate room and treatment requests, this may not always be possible. If we cannot accommodate your request, you will be informed beforehand. We want you to relax and enjoy every minute of your visit to the Hall, so please speak to us if you have any requests or questions. Almost all our spa breaks and days include at least one inclusive treatment (see what’s included in each package). 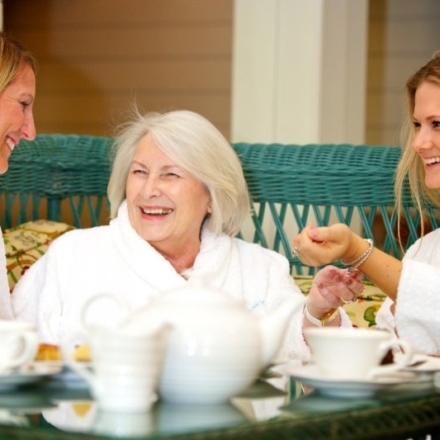 In addition, we offer an extensive range of face and body treatments from major skincare companies including Clarins, Decleor and Elemis and a wide array of natural therapies and many treatments exclusively available at Ragdale Hall. Please contact the Treatments Advice Line for more information on 01664 433043 (9am to 7pm weekdays, 9.00am to 5.00pm weekends) or visit the Treatments page to take a look at what’s on offer. To add this package onto your break, please call our Treatments Advice Line on 01664 433043 (Monday-Friday, 9.00am-7.00pm, and Saturday/Sunday, 9.00am-5.00pm). 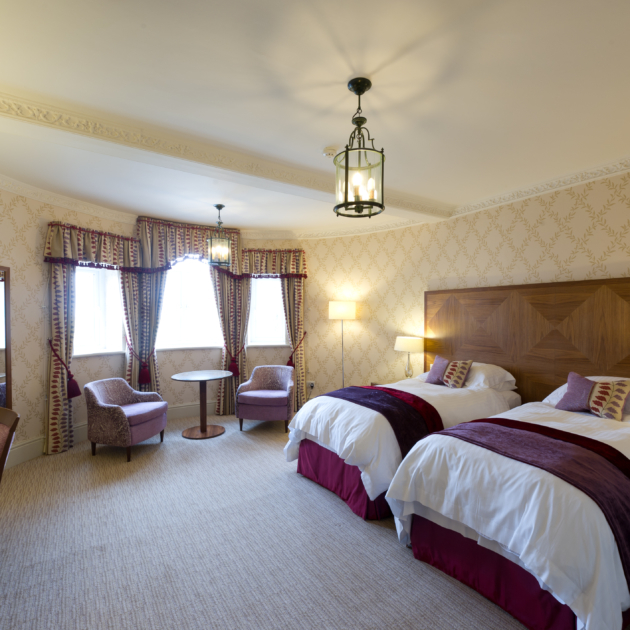 Please note single rooms are limited in number so kindly book early to avoid disappointment. A deposit of £100 will be generally needed within seven days* to secure your booking. A full confirmation and further information will then be emailed to you. Please note your treatments may be scheduled for 4.30pm. Departure is at 6pm . You will be asked to vacate your room by 11am. Changing and locker facilities are provided until 6pm. Please note our breaks are set packages and the treatments within them cannot be exchanged or upgraded. Ragdale Hall cultivates an atmosphere of relaxed informality and guests tend to wear robes, activewear or informal clothing at all times. Smoking (including the use of e-cigarettes) is strictly prohibited in all areas of the building including bedrooms and balconies. A smokers’ Gazebo is situated in the grounds. Use of laptops and mobile phones for making and receiving calls is restricted to the bedrooms and the wifi room. We are unable to allow pets on the premises. Prices are valid from 1st November 2018 to 31st October 2019 and are inclusive of VAT at the current rate. Please read our full Booking Conditions and cancellation policy prior to making a reservation. Late notice bookings, longer stays and overseas bookings require different deposit arrangements. Whilst our services, facilities and treatments and packages are normally available to you 365 days a year, they may be subject to change or withdrawal without prior notice. If you have had, or are suffering from a particular medical condition or disability, we strongly advise you to speak to your doctor prior to arrival to satisfy yourself that you can make full use of our services and facilities. Please also make our Reservations Team aware on booking as we have a carefully planned adapted bedroom suitable for disabled guests and wheelchair users. View full information for mobility restricted and disabled guests here.